A deep, dark part of me has wondered if I should review more Glossier. 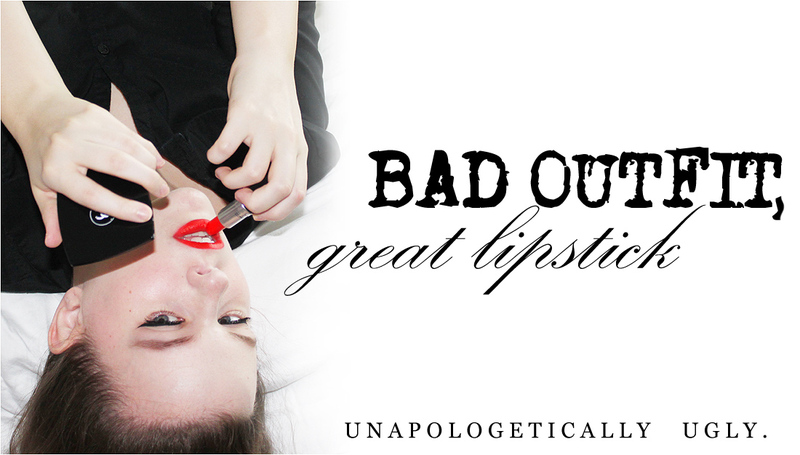 In many ways, I feel like I'm not their ideal customer; too many parts of my face need "correcting." But I love a sheer base, and the Perfecting Skin Tint's siren call has pulled me in. Let me get some of my crankiness out of the way right now: I openly admit that I find Glossier's claim that they're all about "skin first, makeup second" a bit confusing. The ingredients rosters for most of their products are not especially impressive, and none of the products contain SPF. It's totally possible that an SPF is in the works; it's also possible that their motto refers to letting your skin look like skin instead of looking like it's covered in makeup. Regardless, I think everyone should patch test and keep track of what ingredients cause them problems, and Glossier is not free from that caution. (And wear sunscreen!) I also have to give them props for making their products fragrance-free, and if you worry about parabens, this tint is paraben-free as well. Also, what's up with the cost of this thing? $26 is totally fair for an ounce of base, no doubt, but the real oddity is the Phase 1 Set. This set includes the Perfecting Skin Tint ($26), the Priming Moisturizer ($25), the Balm Dot Calm salve ($12), and the *Milky Jelly Cleanser ($18). That works out to $81. The Phase 1 Set costs $80. A $1 discount isn't really much incentive to buy something in a set, and it's not like Glossier is so loaded with options that a buyer can't put together the basic routine. The set holds zero interest for me (since I'd only want the tint), but wouldn't selling the set for $75 or thereabouts make more sense? Dead serious: anybody with marketing expertise, let me know what I'm missing. Shea butter is one of the ingredients, and I am 90% sure that shea butter does not like my face. 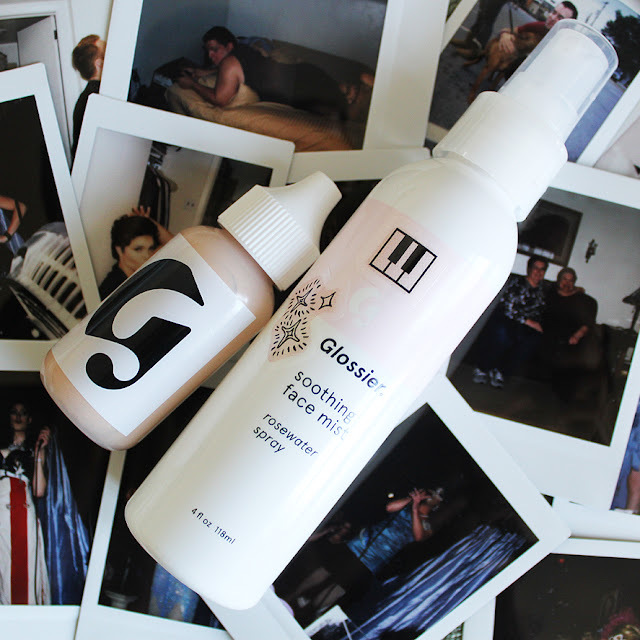 So no Glossier Priming Moisturizer in this post. This is packaged in a simple plastic bottle with a dropper, which I actually love. First, I am clumsy and will break anything glass if given enough time (aka at least a week). Second, the dropper makes it easy to dispense the exact amount of product you want while keeping excess air and bacteria out of your bottle. Third, it's so small you can easily toss it in a makeup bag (which is what I've been doing). Glossier sends you stickers you can cover their products with, but thus far, I haven't been able to bring myself to use them on the Perfecting Skin Tint. I just worry too much about them trapping dirt. I did, however, stick a few on my Soothing Face Mist, since it stays in the relatively clean region of My Desk and Bathroom Shelf. Light looks a bit dark on my fingertips, but this product is very very very sheer and applies a bit lighter than it appears. I would say this particular shade would work for most people in the "NC15/NW15 or lighter" range; if you are a little darker than that, consider bumping up to Medium. I wouldn't mind something even lighter and more yellowy than this (see my Buxom Show Some Skin swatch), but I can manage with this as is. 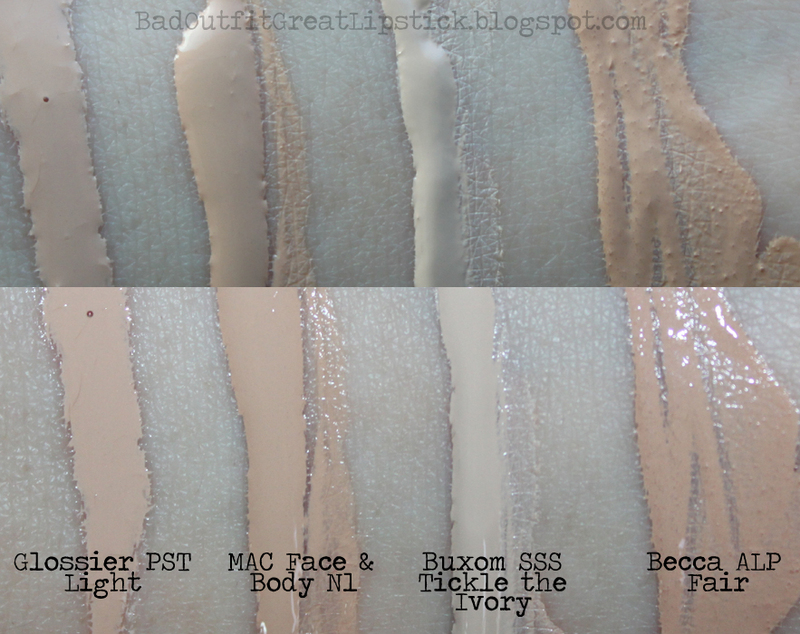 Oh, and can we discuss that shade range for a moment? 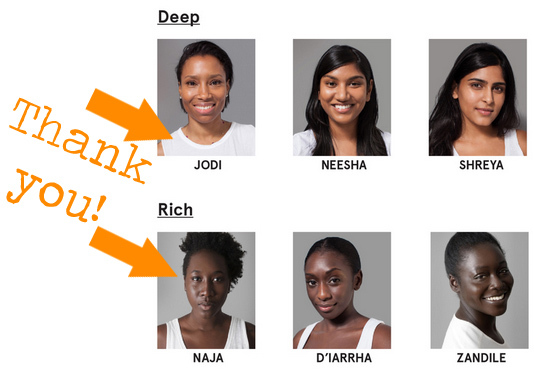 Look, this is a very sheer product, so in some regards, it's not hard to make it work for a wide range of skintones. But I've used a lot of sheer and light coverage products in my life, and even those tended to stop at about "white girl tan" levels. It's insulting. So I'm beyond thrilled that the Glossier Perfecting Skin Tint comes in the Deep and Rich shades as well as the lighter ones. Sometimes I spray on a bit of a Soothing Face Mist before applying this tint, and other times I apply it to bare skin. I squeeze four or five drops of the Perfecting Skin Tint on to my fingertips, work it all over my chin and cheeks, squeeze some more out, and rub that in to my forehead and nose. The tint smooths in to the skin easily, and it has a strong silicone-y feel. (Not surprising, if you look at the ingredients list.) I find that this tint will look a bit "odd" on my face for about 5 minutes before truly settling in to my skin. It provides extremely sheer and natural coverage. Now, some have called this product a "tinted moisturizer," and I have to disagree. It does not moisturize or provide SPF, and the coverage is barely there. It's sheer enough that it doesn't make my face better match up to my neck the way, say, one layer of MAC Face & Body might. 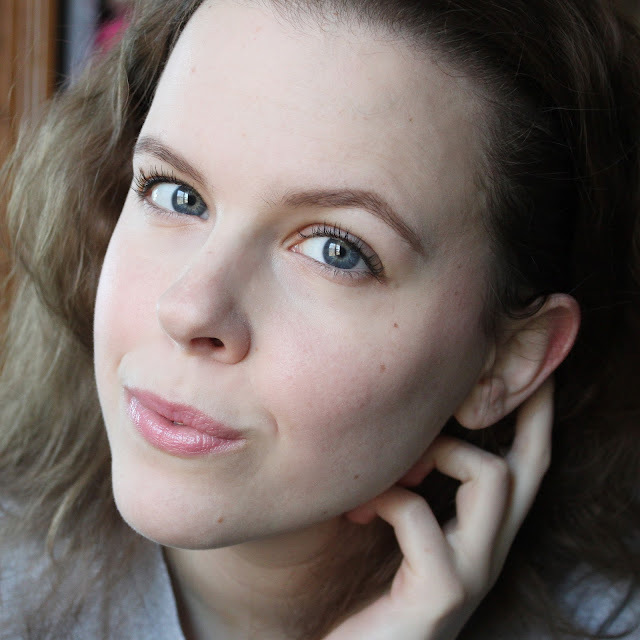 But because it does have that soft-focus smoothing effect and a very small amount of pigment, I find that the difference between my neck and face isn't quite as noticeable. This product is not designed to be especially long-lasting, nor does it contain a lot of hydrating or oil-controlling ingredients. This means that people with oily skin will probably want to prime or powder first, and people with dry skin will likely want to start their makeup routine with a hydrating product. That being said, I think this is relatively kind to dry skin and the wear is decent. 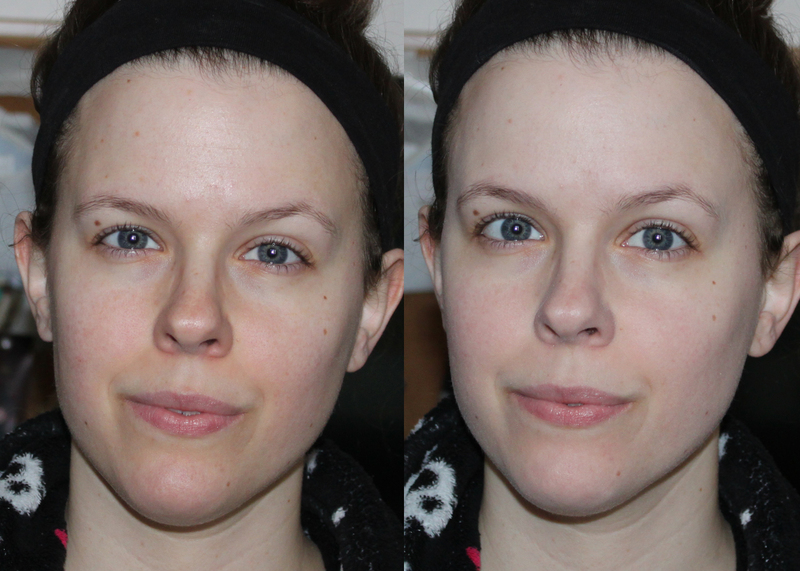 The above photos show the Perfecting Skin Tint at the 15 minute mark, then 5 hours later. As you can see, my nose (one of two oily parts of my face, the other being my eyelids) is quite shiny, but overall, the tint still looks nice. Brushing a face powder on my nose or blotting every few hours with a blotting sheet works well for me. I think it's important to add that the folks at Glossier may have been unprepared for their products' popularity: restocking seems to take quite a while. I originally attempted to purchase the Perfecting Skin Tint around the end of November 2015, but there was a slight issue with my store credit. 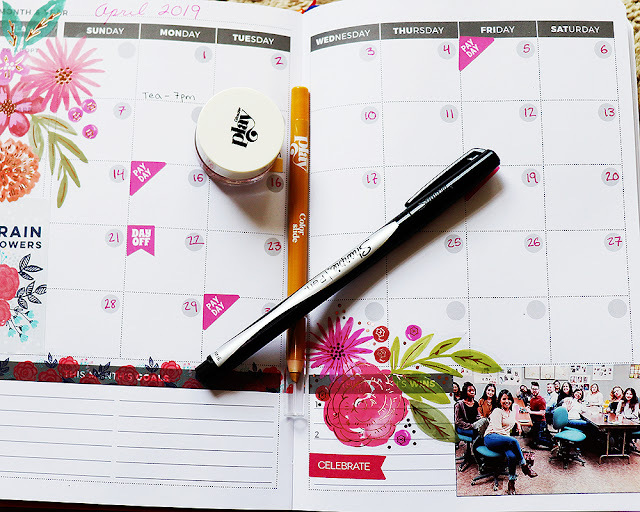 By the time the error was corrected, the two lightest shades were sold out...and they remained sold out until the end of January, though all of the Phase 1 Sets were available again by early January. I also noticed that the Brown and Black Boy Brows were sold out for at least a month, and they're sold out again as I type this. This is worth noting for anyone who considers the products must-haves and uses them regularly. 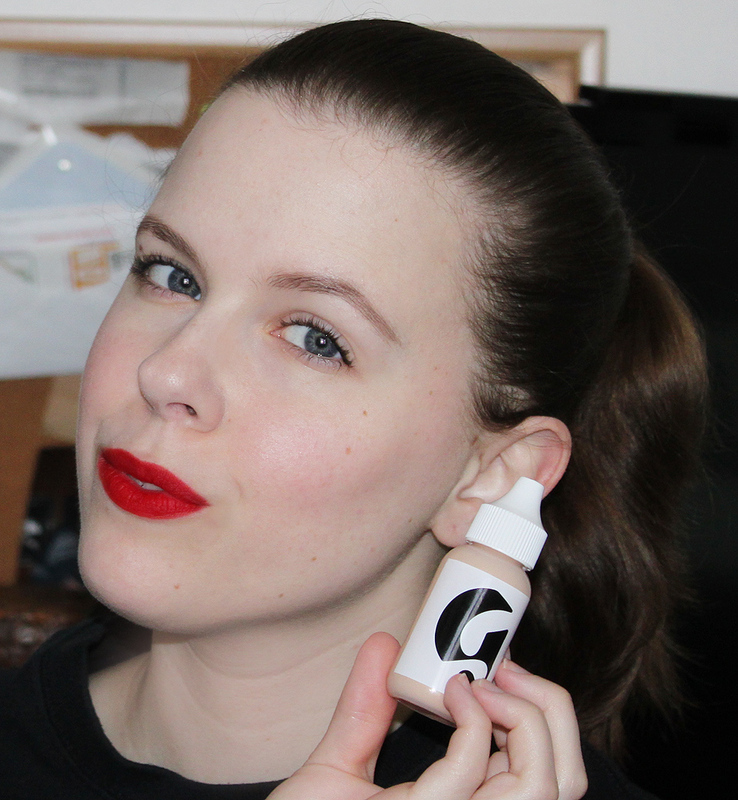 Overall, I don't think the Glossier Perfecting Skin Tint is quite the incredible game changer they claim it is, mostly because it lacks the kinds of ingredients that really do improve and perfect skin. But beyond that, it does what it says it will--smooth out the skin while looking incredibly natural--and it does it with a very simple ingredients list that will work for most people. Because it is so stupidly easy to apply and looks nothing like makeup, it has become my go-to for work. Also, the shade range runs from light to very deep. If they make an SPF that I can use and that pairs well with this stuff, I might have a new daily go-to. Alright, Glossier. You did it. You finally have my endorsement. If you're interested in purchasing this product (or any others) from Glossier, feel free to use my affiliate link in this post--like I said, everybody with an account gets one, so this isn't a paid post, I swear. You'll get 20% off your order, I'll get $10 in credit. If that's not your thang, just go to Glossier.com to get your products, no affiliation required. * Older versions of the Phase 1 Set included the Soothing Face Mist instead of the cleanser. I liked Milky Jelly and I hadn't been thinking about trying the tint until now. I've been worried it's too dark. I'm about 1/4 to a half shade darker than you are so it should suit me just fine. I'm not quite sure if I'd like Milky Jilky--so many things dry me out so quickly! I think if you're in the N10, N15 area, this is going to work pretty well for you. I have to admit, I've heard of Glossier before but haven't ever bothered to figure out what types of products they make. I'm into more medium-full coverage products and have combo skin, so this is prob a pass for me. But I think it makes your skin look radiant! Thank you, that's kind! I'm still searching for my perfect-out-of-the-bottle medium coverage foundation. Oh, God, I was sending my boyfriend messages with emojis for MONTHS, not realizing his phone showed them as two little question marks. Finally, about a week ago, he texts back, "I love you...question mark? ", or something like that. And thank you, that's so kind! A lot of people are apparently mixing it with other products, like their favorite primer or the CoverFX drops, to get more staying power. I've been wearing it from about 8:30am to 5pm several days a week, and it's holding up decently. Hmmm didn't like my emoji huh. This product is definitely too light of coverage my surface redness and acne, but it looks beautiful on your skin! It looks like perfect no makeup makeup, where it does enough for you to see the difference but not be super obvious. 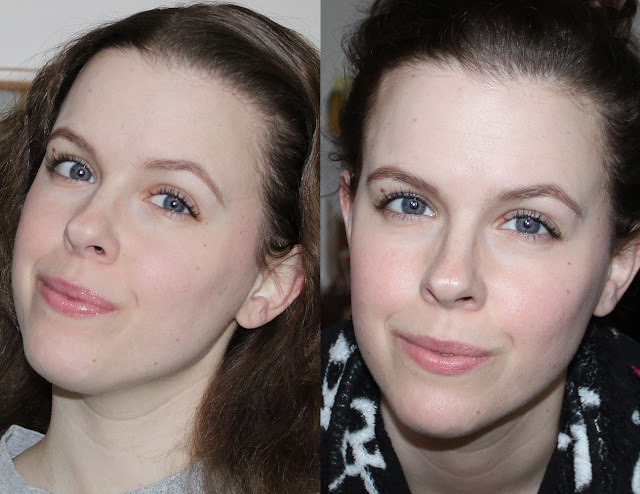 It really is a sheer, sheer product, but man, is it effective for No Makeup Makeup looks. One of the Glossier guys said on ITG that they're coming out with a sunscreen this summer. I figured it'd be coming up soon! Here's hoping it has an ingredients list I can handle. Also, I have to ask: what lipstick are you wearing in the first picture? It's perfect! I can't totally recall, but my guess would be MAC Ruby Woo. I loved that blog! Great to have you here. hi, would you say that this is too light for nc20? Probably. If you're NC20, I'd consider bumping up to Medium. Found you while searching for Glossier reviews. Thank you so much! ALSO, has anyone ever told you you look just like Kate Beckinsale? You are gorgeous! Thanks! I've gotten Kate Beckinsale a lot, and I'm always so flattered. Hi there! I've been thinking to buy this skin tint but wondering which shade is best for me. I'm Asian and I'm NC25. It's quite confusing to choose between Medium and Dark. Anyway, your skin is beautiful already, but the skin tint makes it look more perfect! My gut says Medium, but honestly, they're so sheer that they're versatile. Try contacting Glossier--they'll usually help you!